Welcome - Jill is "going over the edge!" 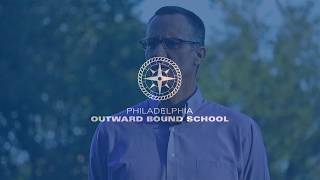 On 17th May, I will be one of 100 individuals rappelling down a thrilling 315-foot building in the center of Philadelphia to raise funds for the Philadelphia Outward Bound School (POBS). Exposed height is one of my greatest fears, so agreeing to do this is not a decision I made lightly. However, I recently joined the POBS Board and am motivated to make a positive difference in the lives of Philadelphia teenagers. The mission of POBS is to 'Change lives through challenge and discovery' and every year we deliver an outward bound experience to over 5,000 Philadelphia city kids, the majority of whom receive a scholarship to attend. For many of the youth participants, an Outward Bound experience is the first time they are exposed to life outside an urban neighborhood, and certainly to the wilderness. I have always been a strong believer in embracing adventure; being provided with the opportunity to test your physical and emotional limits in nature. Much more than an encounter with the wilderness, the experiences offered by POBS build inner strength, an ability to lead, and a desire to serve. At its core, the POBS experience is life changing at such an influential time in the childs development. As I find my inner strength to 'go over the edge', please consider making a donation and in so doing help many students have a life-changing experience at POBS this summer. Good luck, Jill! I'm sure it will be an amazing experience. You'll do great! Thanks for doing this for Philadelphia Outward Bound! I hope the day is clear, sunny and calm when you go over the edge, Jill! A great cause to support. It seems perfect for you: in keeping with the years your family has spent exploring different countries and the wilderness of Canada. To serve, to strive and not to yield!